A recent study shows eating a diet rich in olive oil can have a positive effect on the development of unborn children, with those effects even carrying over into the child’s adult life. The study was conducted by researchers from the Federal University of Santa Maria’s Department of Physiology and Pharmacology, and the University of Milan’s Department of Pharmacological and Biomolecular Sciences. According to one of the authors of the study, Professor Marilise Escobar Burger, there is a significant incorporation of fatty acids into the fetal brain during gestation to help maintain adequate development. The theory going into the study was that because olive oil has a favorable fatty acids profile, it could lead to positive results during the prenatal period. In the study, researchers evaluated this influence in rodent pups. One group of female rats was given a diet with 20 percent olive oil and the control group was provided with a standard diet. Researchers monitored the pups during pregnancy, lactation, after weaning and all the way through adulthood, taking regular measures of molecular and oxidative brain parameters and weight. During adulthood, animals in the olive oil group showed less brain lipid peroxidation and more glutathione sulfhydryl groups in the prefrontal cortex, as well as lower levels of reactive species in the hippocampus. It was also discovered that the animals that began in the control group weighed more in adulthood than those that had benefitted from the diet of olive oil. results for pregnant women, who are certain to be searching for the best tips for healthy eating while pregnant. Needless to say, having a result that could positively affect a child through adulthood is something all mothers would be interested in. 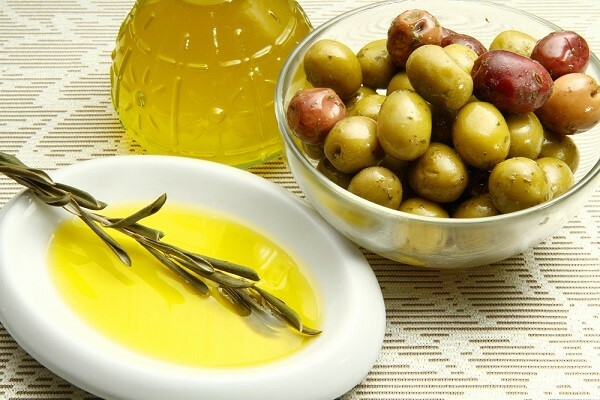 Take advantage of the healthy properties of olive oil in your diet! Order your bottle of extra virgin olive oil today from My Olive Tree, and support some outstanding humanitarian work in the process.